No matter where you go in the world, you can be guaranteed of meeting some Irish ‒ either second or third-generation immigrants who hold tightly to their Gaelic roots or recent arrivals, and of course those revellers who are Gaelic for the day. For a small country of barely five million, the Irish get around. The same might also be said of the Scots, Welsh, and the Galicians of Spain. The one thing in common for all these groups is that they are all Celts, and fiercely proud of their traditions. With such a diaspora of Celts, it’s no surprise that most places you go you can also take in a Celtic festival, too. From a ‘Fleadh Ceol’ ‒ a music showcase ‒ to dances at ‘Feisanna’ the Celtic Festival has evolved from small local events celebrating traditional music and culture into hugely popular weekend-long galas. 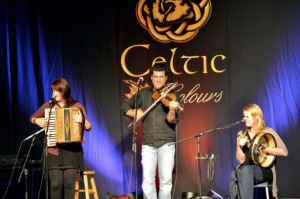 In Canada, Cape Breton Island in Nova Scotia hosts the award-winning Celtic Colours festival. Here, a nine-day celebration of the Celtic influence on the region’s music hosts acts from all over the world. The community-focused festival is held in venues all over the island and offers opportunities to learn music skills from experienced pros. Sin City, Las Vegas, Nevada is an unexpected venue for a Celtic festival, but it puts on a weekend event that’s entertaining and educational. The highland games bring athletes together to compete at caber tossing and hammer throwing. 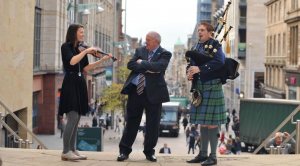 Competitive bagpiping and traditional dancing provide hours of Celtic fun for all the family. The other Dublin, that in Ohio, has an Irish festival with a 28-year history, which besides an international musical line-up also features Irish sport in Gaelic football, hurling, and boxing. In the Emerald Isle itself, it’s the Willie Clancy Festival in Milltown Malby, County Clare, that sets the tone. Running since 1973, in memory of the legendary uilleann piper, the week-long event has a focus on teaching the craft of traditional musicianship while also including dances, recitals, and exhibitions. The Celtic Connections festival in Glasgow, Scotland is a world music event with a focus on Celtic artistry. Year upon year, Celtic Connections attracts musicians from the furthest corners of the globe and encourages impromptu collaborations between diverse artists. Ortigueira’s Festival of Celtic World is a four-day festival in Galicia, Spain, that not only promotes a wide range of folk and traditional artists, but brings them all to the public for free. Every August in Brittany, France sees the Festival Interceltique de Lorient, which highlights music and dance but is just as famous for its gastronomic panorama.